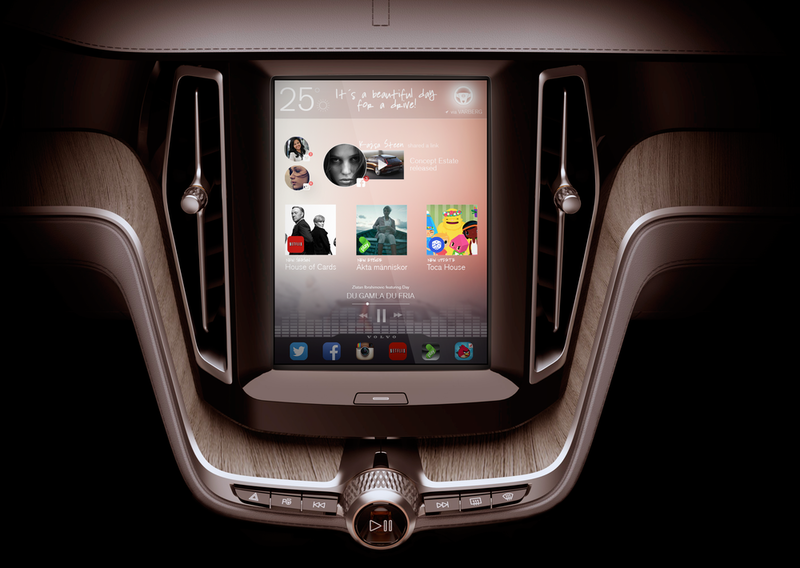 Volvo Contextual Switch transform the environment to either be maximized for business or for pleasure. We made the car into an extension of your home or your office. This two rooms needed to have different properties for being able to assist you in keeping you either focused or entertained. This project was a study we did for Volvo Cars regarding "Defining the Volvo Time within autonomous cars". 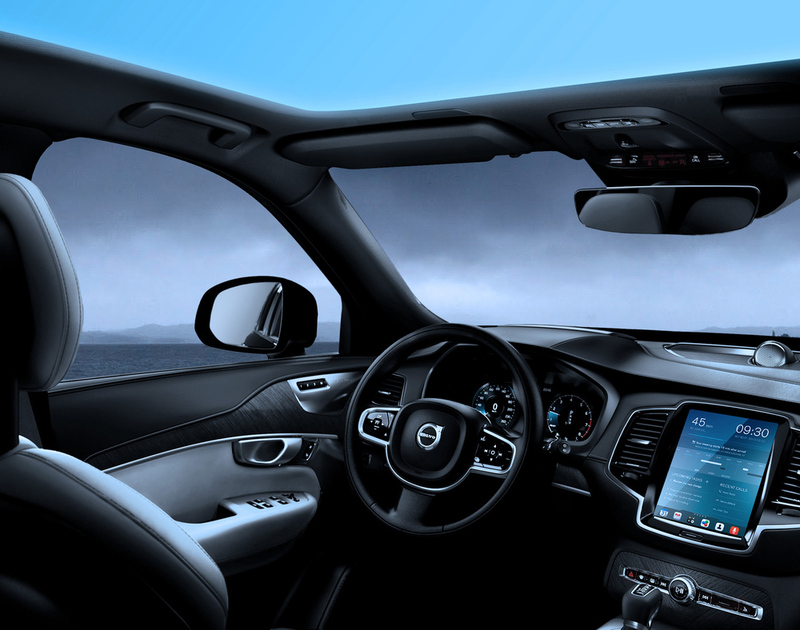 A Volvo car provides an environment where the act of driving becomes a pleasant experience. In the near future, driving will become more and more automated, freeing up the users attention and opening up possibilities for many other activities besides driving. Today Volvo Time without autonomous drive can be viewed as a distinct part of the drivers life. Driving requires attention, prohibiting activities normally performed in the home and at work. It is a natural filter that helps the driver focus on the right activities at the right time. Sneaking in work on your phone while you play with your kids, or checking Facebook at work will neither produce a pleasant experience nor a good conscience. If you can do both in the autonomous car, will you always feel that you are sneaking in the wrong activity? When starting a journey the driver is given a choice between distinct contexts. Various inputs from the drivers life, e.g. sensors in a Smart Home, work related cloud services and behavior analysis is gathered and used to make an educated guess about what context is most appropriate for this journey. If a prediction is made that a work context is best suited, that context choice is made larger and highlighted. At the same time the home context choice zone is made smaller and less prominent. The solution Interaktionsbyrån presented aimed to assist the driver in making a choice between these new activities that are not driving, and in some respects even make the choice for the autonomous car “driver”. The driver selecting the work context will be able quickly to access tools and functionality related to that context. You can focus on work and do your work calls in your car without the feeling of spoiling your family. Your car adapts to the space it needs to be. To enhance the context choice, ambient lights in the car will be adjusted to convey an energetic and productive environment. The driver selecting the home context will be able quickly to access tools and functionality related to that context and not be distracted by work related tasks. Listen to music and talk to your kids without todays work related todo-list asking for attention. Leave that to work. To enhance the context choice, ambient lights in the car will be adjusted to convey a relaxed and cozy environment.